SnowCast warns you if a warm fireplace is in your near future. Shake hands with SnowCast. Make some small talk. It’s in your best interest, since this app is very quickly going to become one of your best friends as the winter season rapidly approaches. SnowCast very simply lets you know how much snow you’ll be getting over the next 48 hours at any given time. Depending on where you are, that snowfall amount could be nothing. If you live in a mountainous area, that could be two feet. Maybe the amount is exactly 6.37 inches. Either way, SnowCast will keep you in the loop so you can decide whether to light the fire or go skiing. Forecast Bar brings loads of weather data your Mac's menu bar. 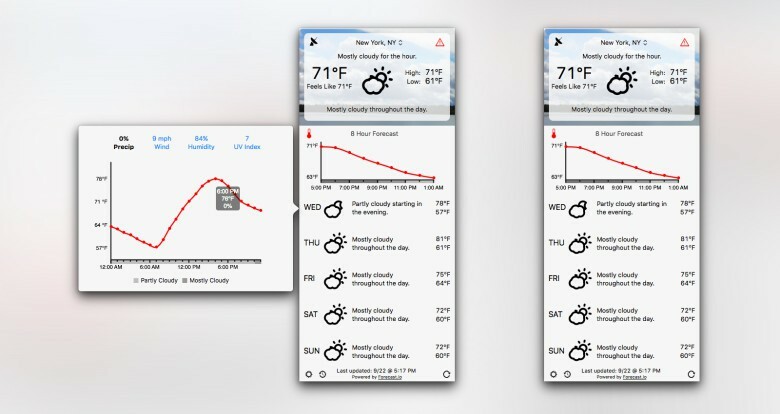 Forecast Bar brings all the features you love about awesome weather app Dark Sky to a Mac app. Not only does it look similar to Dark Sky, but it’s powered by the same Forecast API, which means you’re getting the same accurate weather predictions. Forecast Bar also works the way you want it to. Keep it in the menu bar or let it sit in your Dock. Enable certain notifications and display a three-day, five-day or seven-day forecast — up to you. 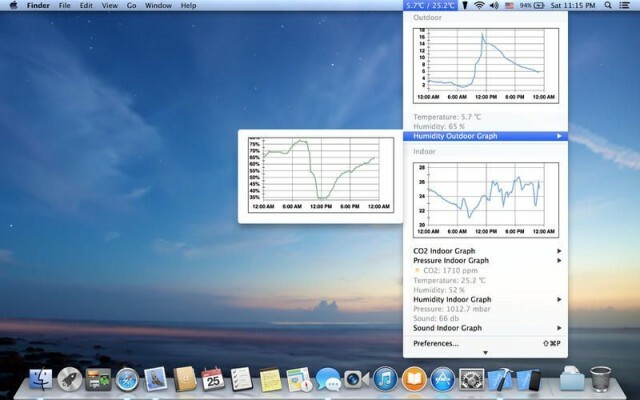 With its detailed weather and range of customization options, it should very quickly take your Mac by storm. The Weather Network's latest app update might make this a reality. We’re not quite through 2015 yet, so app developers still have time to make the prophecies foretold by director Robert Zemeckis’ documentary Back to the Future: Part II come true. And to that end, The Weather Network’s latest app update uses radar and algorithms to predict when, exactly, it is going to start and stop raining. The new feature, appropriately called “Rain Start Stop,” claims to give you a few hours to finalize the details on your outdoor activities. The "Maker" of sassy robot Carrot brought the Weather app to the Mac and updated the iOS app with new goodies. The sassy robot that got its start on iOS has started taking over the Mac too. Carrot Weather launched in the Mac App Store today complete with tons of features and even more snarky comments about the conditions. The self-proclaimed “weather robot with a personality” has plenty to offer. Radar Cast can make you feel like a meteorologist on the five o'clock news. If you’re like me, you spend a ridiculous amount of time trying to pick out the perfect weather app for your iPhone. Apple’s Weather app just doesn’t cut it and it’s very hard to find something that has a little bit of every detail without being cluttered or downright ugly. That happy medium for me is Carrot Weather but unfortunately it’s been crashing on the iOS 9 developer beta. 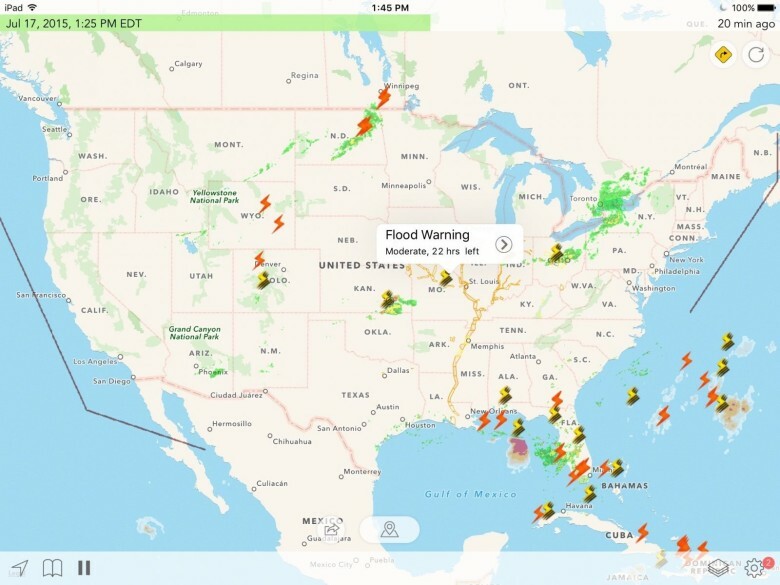 In its place I’ve been testing Radar Cast, a slightly unusual weather app that attempts to deliver all the most crucial information to your iPhone, iPad and Apple Watch. 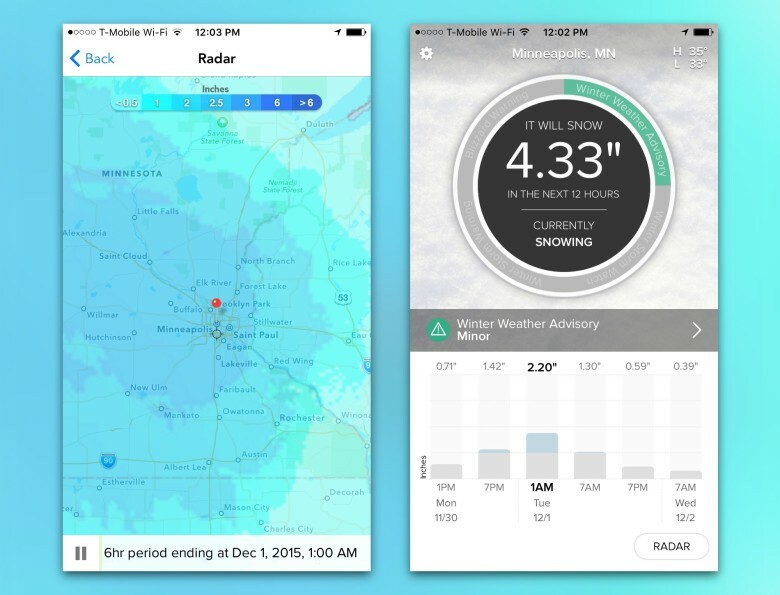 Dark Sky 5.0 displays 24-hour forecasts in a new timeline. The Dark Sky app — famous for its crazy accurate weather predictions that give you down to the minute details on everything — has been updated to version 5.0 today, bringing with it an awesome new design and feature improvements. Among the most noticeable differences is a new vertical timeline that dispenses weather predictions over the next 24 hours. It’s also adjustable so you can view precipitation, temperature, wind, humidity or the UV index. Widget, widgets, widgets. Boy, have we got some widgets for you. And text. Plain text. Plain old text, turned into a calculator. And widgets. Did I mention those? Weather widgets. Battery widgets. And yes, text widgets. 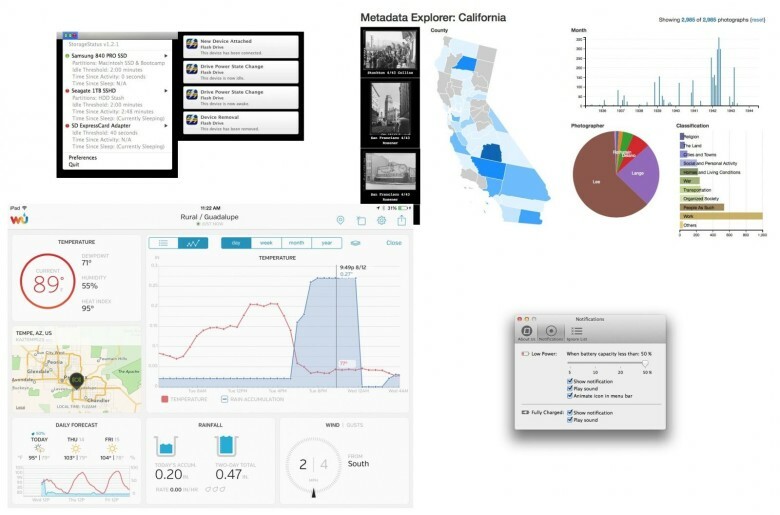 Read all about these new widgets and other new apps in this week's App Watch. AtmoBar is Mac app that works with the NetAtmo weather station you have in your back yard (or on your balcony, for city dwellers). It sits in your menubar and gives readouts and graphs with just a click. It sure beats just looking out the window. The BluCub is a lot like the Tempo pebble I reviewed a few weeks back, only instead of measuring just temperature, it also measures humidity, adding another feather to your home-weather-station cap. If you wear a cap and put a feather in it when you buy a Bluetooth sensor, that is.